As such, moving can be a very stressful period and we at HOP Moving recognize this fact and do whatever possible to alleviate the stress so you can get on with the more important factors in life. In short, we guarantee a STRESS FREE move by providing our customers with significant cost-savings, being tentative to their needs, no surprise or last minute charges, offering of many value-added goods and services. 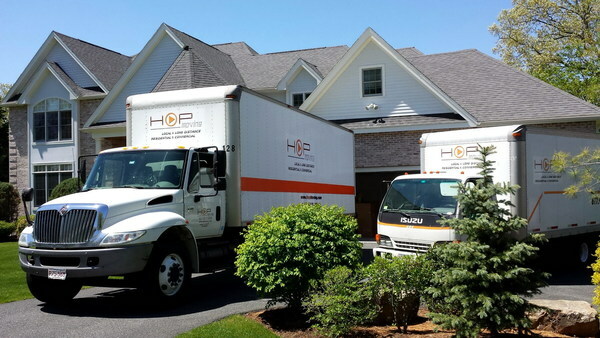 HOP Moving has many satisfied customers throughout many States and dotting the entire American landscape. On your moving day, we will provide you with a vehicle that meets and exceeds your requirements, applicable discounts, insurance protection plans, clean-padded blankets, floor-runners, up-rite and flat dollies, tape, shrink-wrap, loads of supplies, strong men, and our promise to treat your property and precious items as if it were our own.